Last week we had a fun day trip in Amsterdam with the I amsterdam City Card. 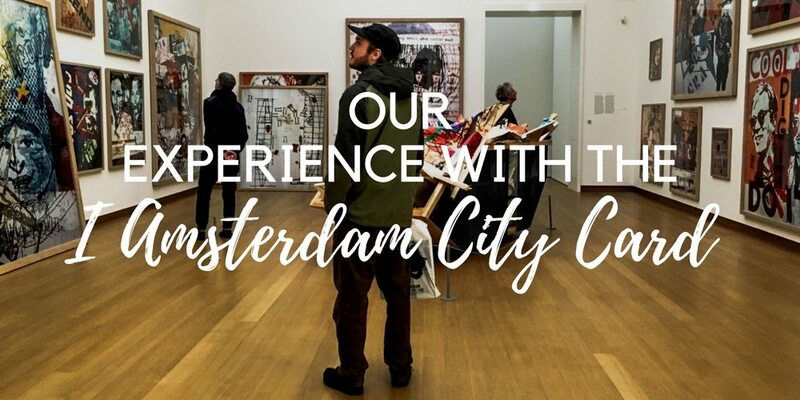 The I amsterdam City Card gives you free, yes free, access to 45 museums (a discount to the popular Rijksmuseum) and attractions in Amsterdam. In addition, with the I amsterdam City card you can travel for free with the public transport in Amsterdam. Not bad right? 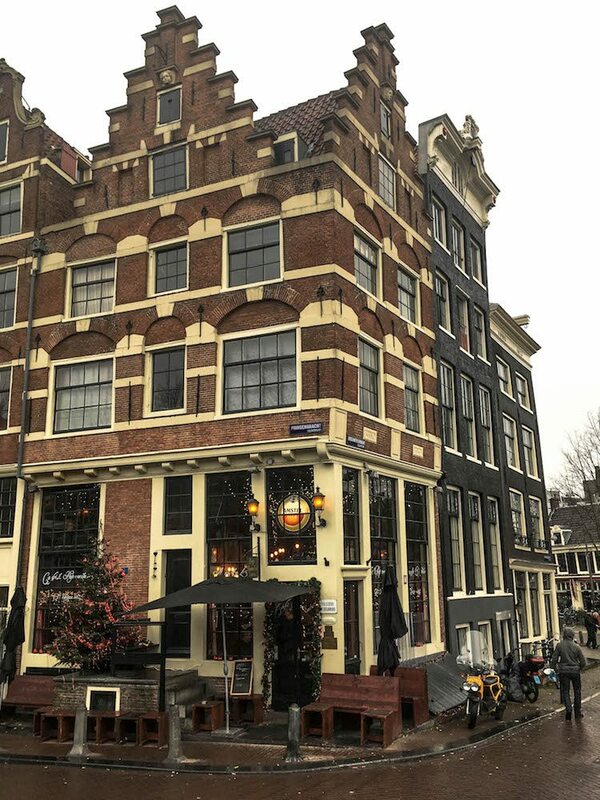 In this post we share everything you need to know about the useful card for Amsterdam and how we experienced our day trip in Amsterdam while using the city card. Finally, we discuss whether we recommend the city card of I amsterdam. To give you complete transparency, we want you to know that this post is written in collaboration with I amsterdam. We guarantee that this post is completely based on our own opinion and experiences and that we only recommend you products and activities that we would recommend to our own family and friends. If you have any questions at all you can always contact us. What can you do with the I amsterdam City Card? With the I amsterdam Card you get free admission to 45 museums and attractions in Amsterdam! Furthermore, the city card offers a free canal cruise and various free giveaways and discounts for restaurants and more in Amsterdam. 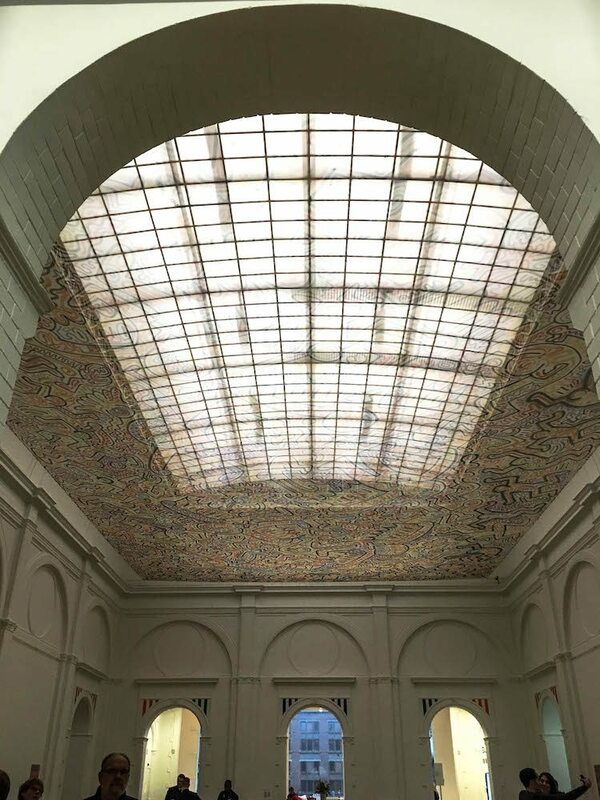 To get the full list with free museums Amsterdam, we recommend you to check out what is included on the I amsterdam website. Unfortunately the popular Rijksmuseum isn’t included, but you do get a discount. And much more! Please be aware that it’s possible that I amsterdam changes their giveaways and discounts, so always check what they offer. Volendam and Marken, a very picturesque village! And more! Although Amsterdam offers a lot of activities, it’s great that the city card also offers trips to surrounding areas. There’s more to the Netherlands than only Amsterdam, and some of the included trips are really worth it. 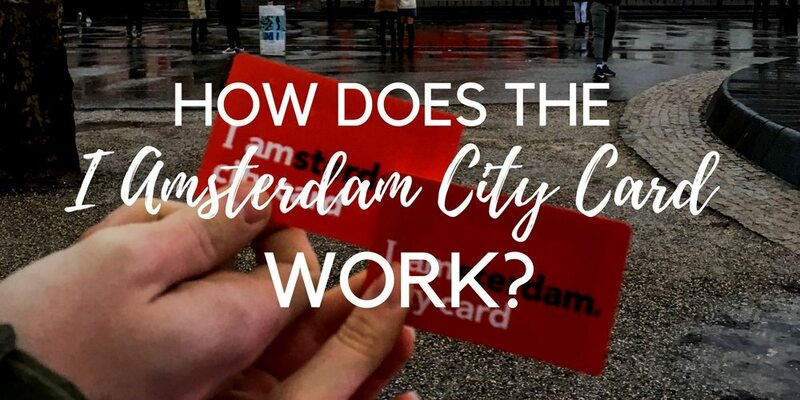 How does the I amsterdam City Card work? The card is easy to use. We didn’t actually check beforehand how it worked, but luckily it was very straightforward. So if you’re not a big planner like us, you’ll be fine ;). But, if you do want to know how it works beforehand, we’ll explain it to you below! How much does the I amsterdam City Card cost? 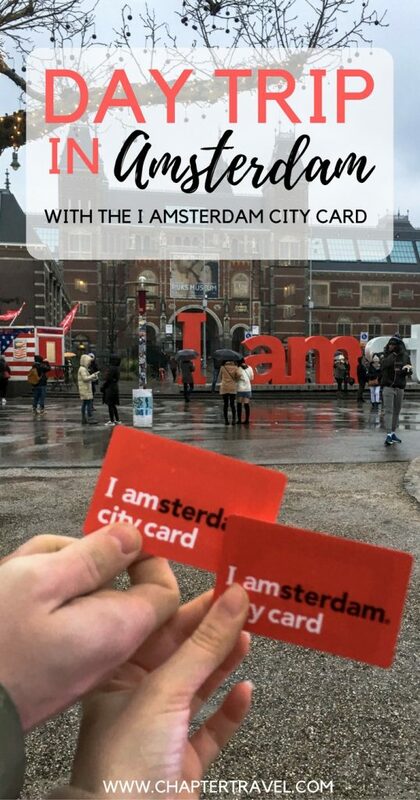 After you decided on which card to take, you can either order the city card online and get it delivered at home or go to one of the I amsterdam shops to pick it up. It’s also possible to buy the cards in various stores in Amsterdam. We just showed our cards and we were ready to go. Once you use the card for an attraction or museum the part of that card is activated. So let’s say the first thing you do is visit Stedelijk Museum. As soon as they activate your card at the register, you still have 24, 48, 72 or 96 hours to visit other museums and attractions! So the time doesn’t start once you have it in possession, but once you actually use it. The card works exactly the same way as the OV-chipcard. Just hold your city card against the reader and you’ve checked in. Don’t forget to check out! Again, the public transport card is activated as soon as you check in for the first time. So after your first use of the card, you still have 24, 48, 72 or 96 hours to use it. As the card is activated separately for the activities and for the public transport, it means that it’s possible you can make longer use of the card for one or the other! Did you know I actually used to live in Amsterdam? Both Jeffrey and I are from Rotterdam, but I’ve lived in Amsterdam for 6 months a few years back. Amsterdam is a city that can be explored again and again and you’ll still find new spots. Plus, you definitely need more time than six months to really get to know it! The day trip with the city card was a fun way for me to go back to Amsterdam after all these years. So we would’ve saved 13 euros per person with the city card, 26 euros in total! What did we do with the city card? After we picked up our I amsterdam card we took the ferry, or pontje in Dutch to visit the Eye Film Museum Amsterdam. 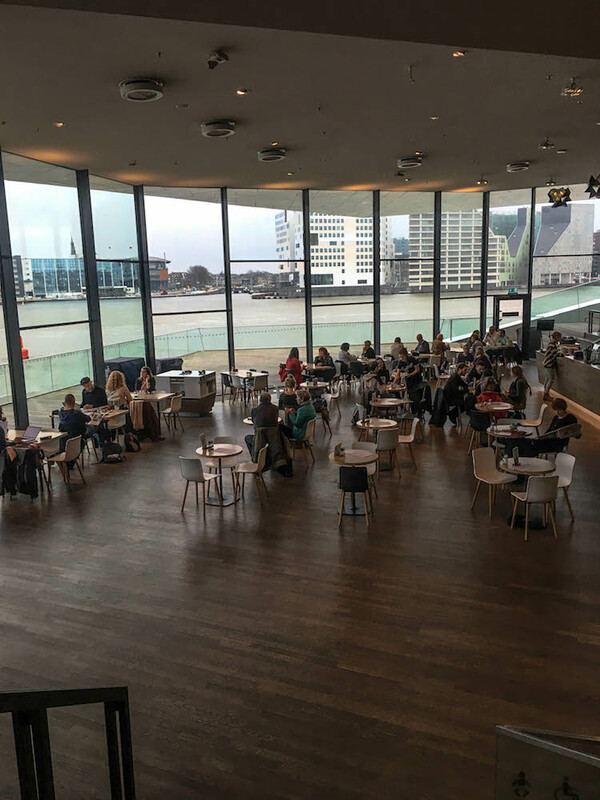 The Eye Film Museum has four movie halls, a big area for exhibitions, a permanent presentation in the Panorama room and a bar-restaurant. As we aren’t the biggest planners, we didn’t know there wasn’t an exhibition going on. So make sure to always check! From 17 december onwards there will be a new exhibition. Luckily for us, we could still check out the permanent collection in the panorama room. Here we could see their different film devices and the most important parts in history of cinema. This was probably our favourite museum visit of the day. Stedelijk Museum has a lot of various exhibitions going on and currently there is even a big artwork at display by Keith Haring. It’s hanging above the historical staircase! Other current exhibitions are I Am A Native Foreigner, Jump Into The Future, The Deep End By Jean Dubuffet and The Crossing by Carlos Motta. If you like all sorts of photography be sure to visit Foam. While we were on our way back to the center, we decided to drop by and have a look and ended up spending a lot more time there than anticipated. Currently, there are a few cool exhibitions, such as Romain Mader and Anouk Kruithof. It’s one of those things I’ve always wanted to do; take a canal cruise in Amsterdam. 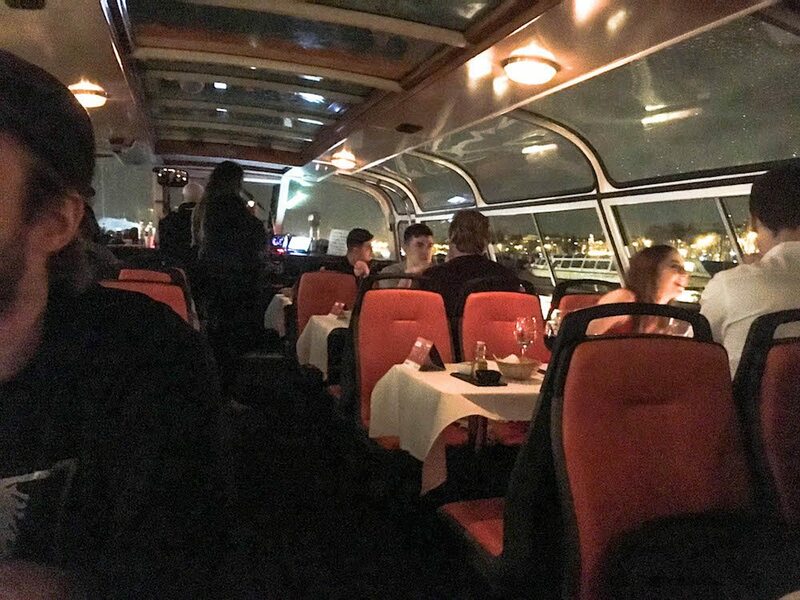 We actually went on a dinner cruise, which isn’t included in the I amsterdam card. With the I amsterdam card you can only go on a regular cruise, which I’m guessing is pretty much the same but without the food! We had a wonderful time during the cruise. It was great that we could still see parts of the light festival, which was really fun! For lunch we decided to go to the Jordaan, as we haven’t been to that area of Amsterdam before. We went to this little place called Gs a Really Nice Place. Definitely worth a visit! We also went to different parts of the city to do a bit of Christmas shopping. And, after we went to Stedelijk Museum we also checked out the ice rink that’s located at Museumplein. Would we recommend the I amsterdam city card? For us it was definitely worth it, but it depends on your plans. So, decide how many days you want to stay in Amsterdam and what you want to see. Are there activities you can partake in for free with the card that you would also do if it wasn’t free? We think especially the multiday cards are worth it, if you’re planning on visiting a few museums and perhaps throw a little day trip in there as well. 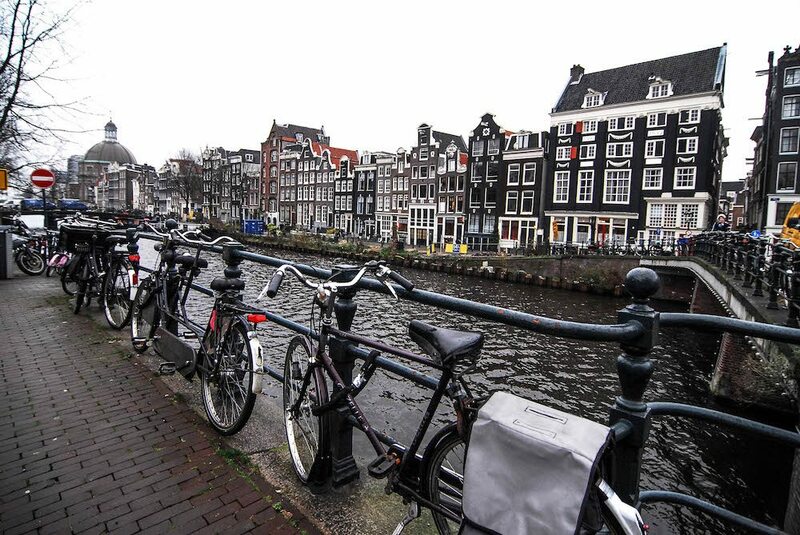 And, it’s really great to experience a canal cruise in Amsterdam, right? We would recommend the 24 hours pass if you’re planning on doing a lot in a short time. Also know that it’s not a one-day pass, but a 24 hour pass. So if you activate your card at 2 pm, you can also still use it the next day until 2 pm. Then you might consider taking the 24 hour card instead of the 48 hour card! 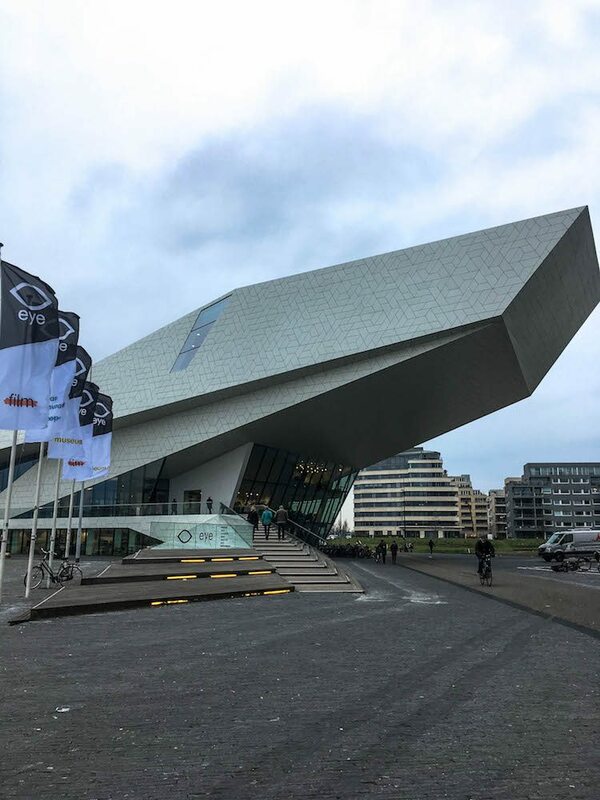 If you’re not as big on visiting museums as we are, the card can still save you a lot of money by wandering the city and using the public transport, the discounts of food and going on an excursion to a village in the surrounding areas of Amsterdam. But, if you’re only getting the card for the free public transport, it’s definitely cheaper to buy a day pass for public transport. 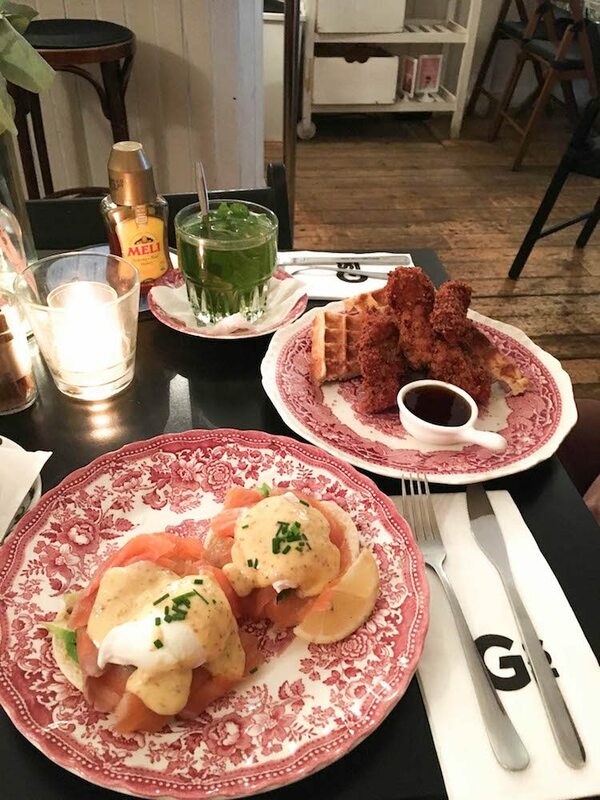 For other reviews about the card by I amsterdam, check out GetYourGuide.com. The city card by I amsterdam comes with a lot of information on the different neighbourhoods, museums, tours, activities, a useful map and more. 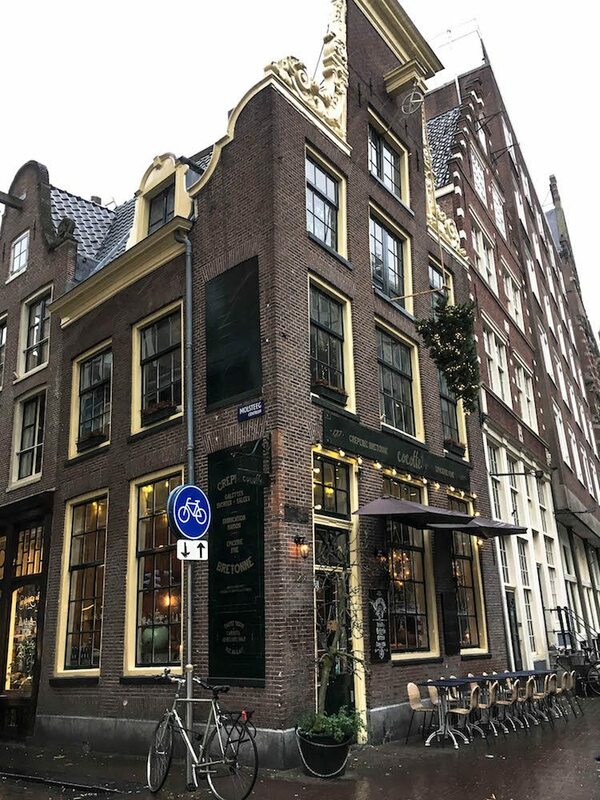 If you’re looking to read even more about Amsterdam from a local point of view and if you like reading blogs (I suppose so, since you’re reading this on a travel blog) we also have a tip for you! We definitely recommend you to check out Wanderlustingk by Karen. She gave us advice for a great lunch tip (Gs a Really Nice Place in the Jordaan) and where to get the best hot choco during the cold (Chocolate Company at Central Station). She used to live in Amsterdam as an expat so she has a lot of great articles. 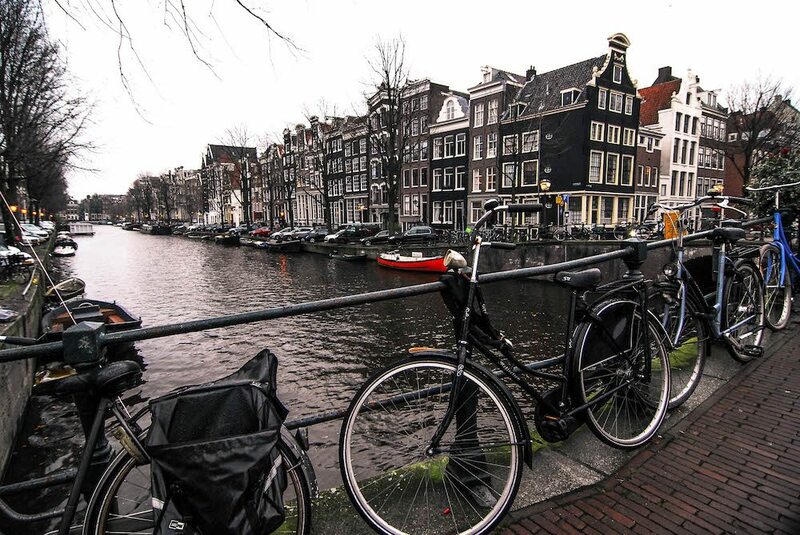 We hope you have an amazing time in Amsterdam, with or without the city card! Let us know in the comments if you’ve ever been to the capital city of the Netherlands. Disclaimer: This post may contain affiliate links., which means we earn a commission (at no extra cost to you) if you purchase something with our link. By doing so you help us improve the free content on this website. Thank you! For more information please check our Disclosure page.